I'm in the process of updating the old flat design of this site into a more dynamic one. The original site was designed in the nineties for use on GeoCities and its various requirements and stipulations. Now that GeoCities is dead and the content has been moved to better hosting, I'm taking the opportunity to migrate the site to WebAPP. 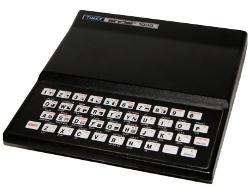 I'm currently working on a new ZX81 specific theme. Because of this, you may run into issues from time to time. Right now, everything looks much like its parent site. This should change shortly. I'm also working to move all the old content, plus some new stuff, over to the new format. Until then, you can still get to the old site here. Although this site was mostly for my own use, by upgrading it others can now join and provide their own images, information and stories. Comments are welcome, even if you don't want to join. Most of the features are turned on already (minus a nice theme). Shoot me a message or leave a comment if something isn't working quite right.